Where to Take Your Puppy! It can be hard to find places to take your puppy, but luckily Los Angeles is very dog friendly! 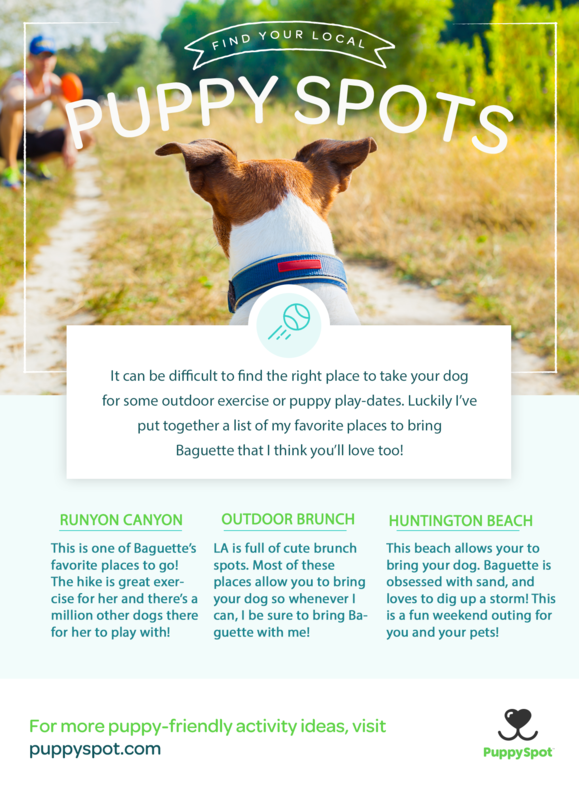 I wanted to share a few of my favorite places to take my dog Baguette! Runyon Canyon Park: This is Los Angeles and we all love to hike. 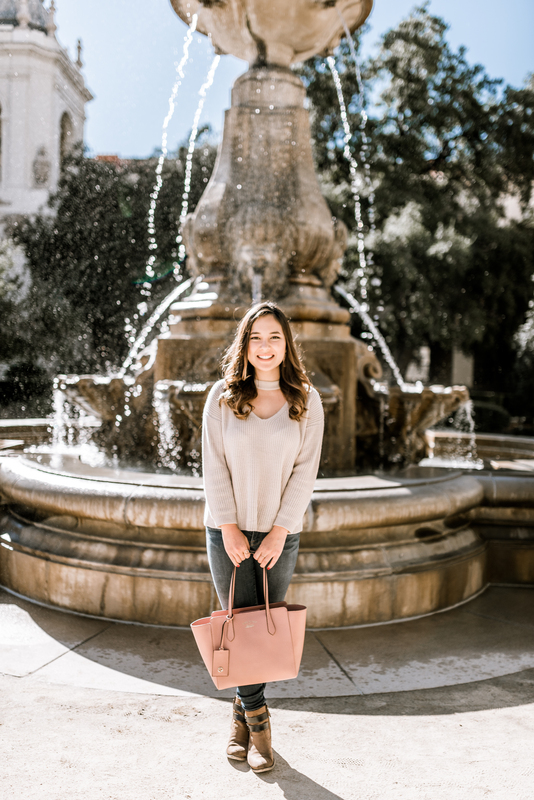 Joking, kind of… Hiking is a huge part of the Los Angeles culture and Runyon is one of the most popular spots and for good reason. It’s a dog park that allows you to hike with your dogs off leash. Baguette is obsessed with this place. Every time we go she gets so excited to run around and see all the other dogs. Plus it’s great exercise for her! Outdoor Brunch: Every weekend you will most likely find my friends and I at brunch. I hate leaving Baguette at home so whenever there is a brunch spot we’re going to with outdoor seating, I always take her. Some of my favorites are Franklin and Company, Toast, and The Sycamore Kitchen. Huntington Beach: This one is a bit of travel, but if you have a day to drive down to Orange County I highly recommend Huntington Beach. They have a dog beach with allows you to bring your dogs. Baguette loves being at the beach, it always puts a smile on her face! Where are your favorite spots to bring your puppy? Let me know in the comments below! And for more puppy-friendly fun check out PuppySpot!